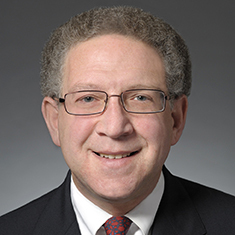 Jonathan K. Baum is the firm’s Director of Pro Bono Services. In 1993, he became one of only a handful of law firm partners in the nation, and the first in the Midwest, to focus exclusively on the delivery of pro bono work. Jonathan coordinates the firm’s entire pro bono participation by attorneys in both litigation and transactional law. Jonathan finds and matches pro bono opportunities with the best suited and most interested attorneys and monitors each pro bono matter. In addition to traditional pro bono litigation, he identifies pro bono work that is compatible with Katten’s diverse areas of practice, such as advising on nonprofit corporate governance, assisting with affordable housing and community development transactions, and providing trust and estate planning services to underserved populations. Jonathan also personally represents pro bono litigation clients. He frequently represents refugees seeking asylum in the United States and individuals experiencing racial discrimination in housing or public accommodations. In one recent case, he successfully represented transgender prisoners in the Wisconsin correctional system who were barred by a law from receiving certain medically necessary treatments. A federal appeals court struck down the law as unconstitutional. Prior to joining Katten, Jonathan served as a litigation associate at the Chicago law firms of Jenner & Block and Sidley & Austin and as a staff attorney and clinical fellow at the University of Chicago Law School’s Edwin P. Mandel Legal Aid Clinic. Prior to attending law school, Jonathan served as legislative aide to then-US Representative Abner J. Mikva and following law school, as a law clerk to the late Judge Bernard M. Decker of the US District Court for the Northern District of Illinois. He was awarded the “Unsung Hero Award” from Action for Children in 2004 for his victory in an Illinois Supreme Court case denying local governments the authority to interfere with the operation of day care homes licensed by the State of Illinois and received the Distinguished Public Service Award from the Public Interest Law Initiative in 2010.